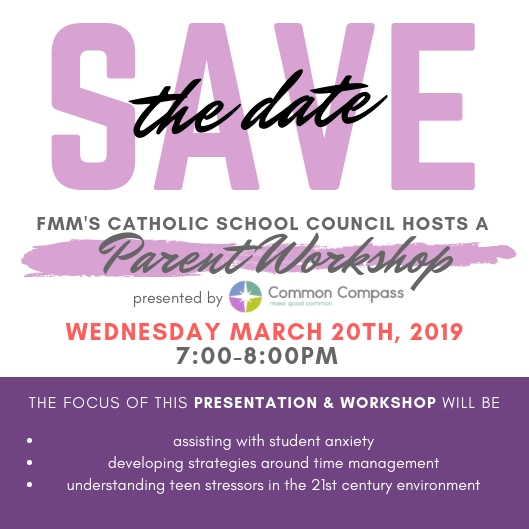 As part of our school’s Mental Health Initiatives, FMM’s Catholic School Council will hold a Parent Workshop Evening facilitated by the team at Common Compass on the evening of Wednesday March 20th at 7PM in the FMM Library. 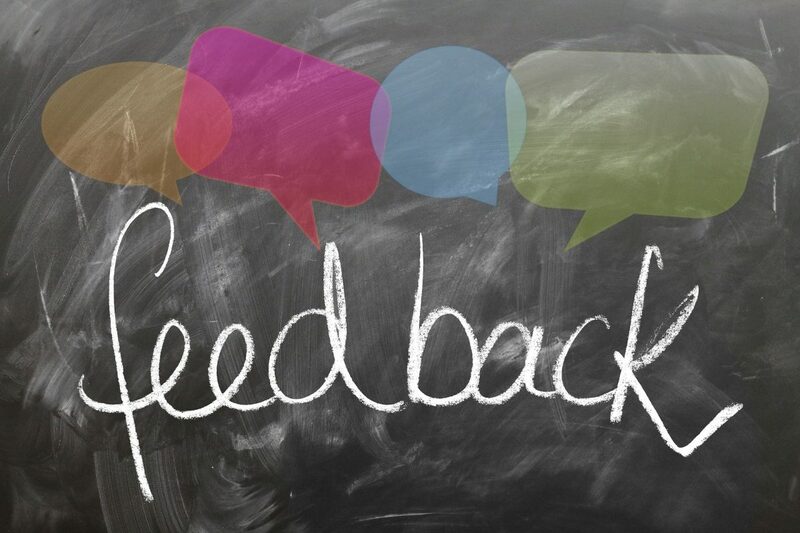 Common Compass has been conducting workshops with our senior-level students to help with strategies around mental health, anxiety, time ... Continue reading "Parent Workshop Evening ~ Wed MARCH 20th @ 7PM"
This year our school board, the York Catholic District School Board, celebrates a milestone anniversary. You are cordially invited to the 50th Anniversary Celebration of the YCDSB on Tuesday May 7th, 2019. Mass ... Continue reading "50th Anniversary Celebration for the YCDSB"
Our recently posted evening for the IB Course Selection was cancelled due to the Inclement Weather Day notification. The evening for students and parents has now been re-scheduled to Wednesday February 20th, 2019. 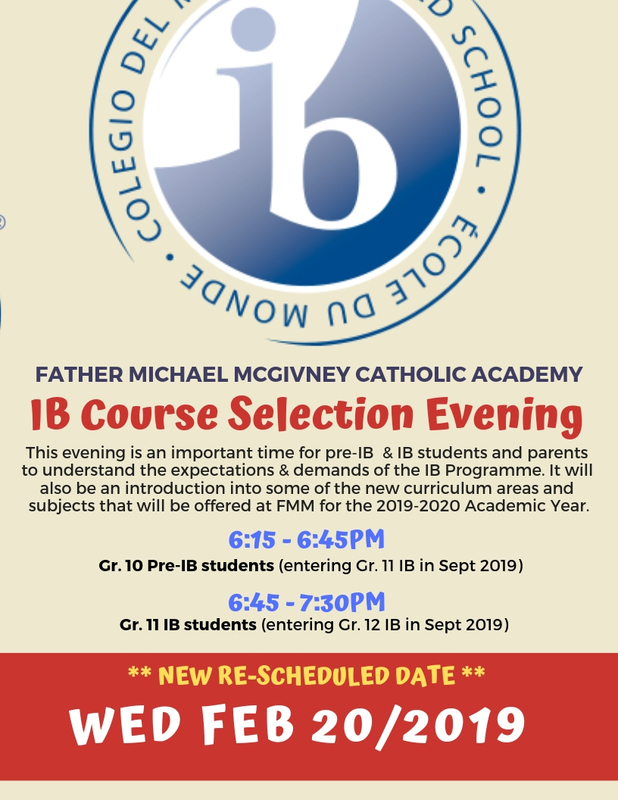 Students in Grades 10 Pre-IB along with their parents are recommended to attend at 6:15PM as we will be discussing the ... Continue reading "UPDATED ~ New Date for IB Course Selection Evening ~ Wed Feb 20th"
The Ontario Secondary School Literacy Test (OSSLT) for all Gr. 10 students will be taking place on Wednesday March 27th. 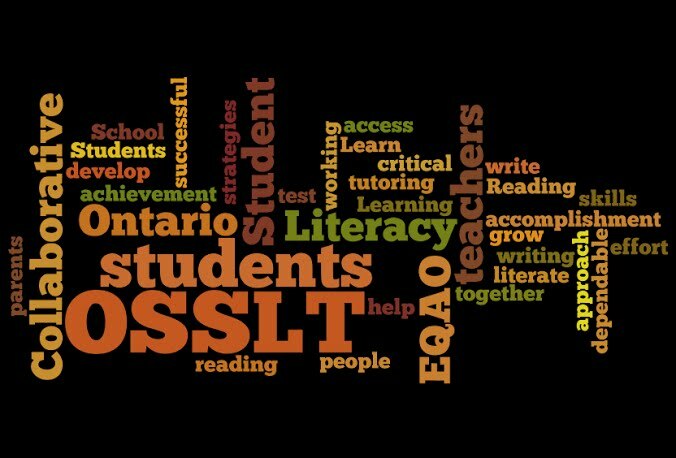 The successful completion of the OSSLT is a graduation requirement for all Ontario students. Please see the OSSLT Parent Information Letter for additional details regarding the date. We wish all of our students writing ... Continue reading "OSSLT Information for Parents ~ Wed MARCH 27th"